Too Busy to read books now but want to take advantage of the countless hours spent in cars? 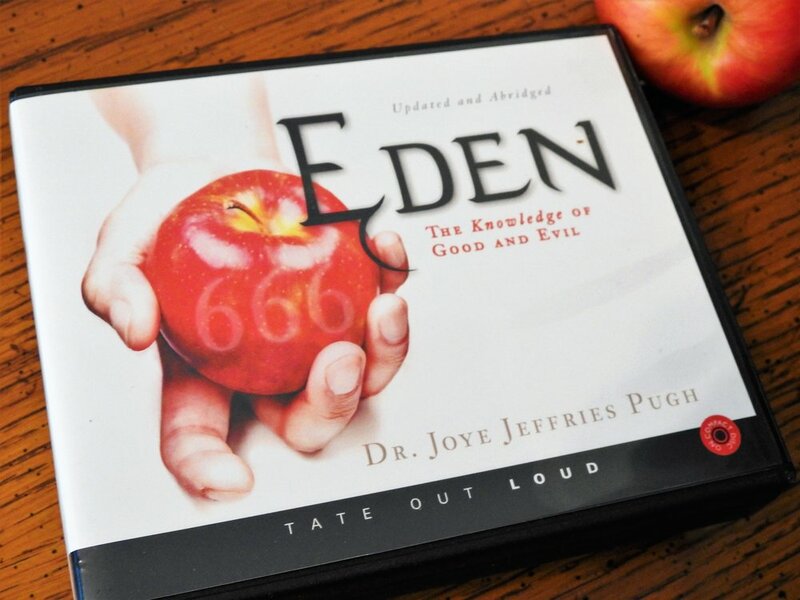 (Dr. Joye Jefferies Pugh, Author) EDEN - The Knowledge of Good and Evil 666 is a comprehensive story of good and evil—brilliantly told, thought provoking, enlightening, and uniquely timely! Dr. Joye Jeffries Pugh has a tenacious grip on the history of the continuing journey of good and evil. This is a one-of-a-kind book paralleling the history of the Garden of Eden, with a Christian view, to the present time, with a credible exposé of the New Age Agenda for exactly what it is. This book is a must read for all people with inquiring minds, whether or not one agrees with all of the presented premises. Recognizing the evil forces that have brought us to this moment in history, the author presents a sense of awareness not seen in most publications today.